Ahlada Engineers Limited is in the business of manufacturing Steel doors and Windows (steel-frame) and cater to customers across various segments and industries. They currently have facilities spread across 3 manufacturing units in addition to one assembling unit and stockyard, with an area admeasuring 34,211 square yards on the outskirts of Hyderabad. Additionally, they are also in the business of manufacturing cleanroom equipment for customers in the Pharmaceutical, Biotechnology and Food industries. a) In 2005, the Company started commercial operations with manufacturing of cleanroom equipment and furniture. b) Further, in the year 2008, they started manufacturing steel doors which catered to the then existing customers of clean-room equipment and furniture. Gradually they started expanding the customer base for the products manufactured to healthcare, entertainment and real estate vertical as well. (a) The Company has been gradually expanding their manufacturing facilities and has over the past decade, expanded the facilities to its current form and capacity. Presently, they have an installed capacity to manufacture 11,000 doors per month. The facilities to manufacture clean room equipment and furniture and windows are inter-operable, and hence, capacities for the same cannot be conclusively determined. (b) In order to expand Company business and customer base, the Company has on August 22, 2017, entered into a Master Manufacturing and Supply Agreement (MMSA) with Tata Steel Limited (TSL), whereby TSL has assured offtake of doors manufactured and shall work with them to improve the process and line efficiency. They consider this alliance with Tata as one of our biggest strengths. Promoters of Ahlada Engineers Limited Company are: (i) Chedepudi Suresh Mohan Reddy, aged 50 years, is the Managing Director of the Company. He holds a bachelor’s degree in engineering (mechanical) from University of Mysore. In the past, he has worked with M/s Nova Pan India Limited as a trainee engineer and with SAB NIFE Power Systems Limited. He is experienced in cost control, production, and finance. He is responsible for the overall in-charge of our Company and controls and oversees the manufacturing and related line functions of the Company. He has been instrumental in signing up with Tata Steel Limited for the supply of doors and has been associated with our Company in the capacity of a director since its incorporation in 2005. There are no listed entities similar to the line of business and comparable to the scale of operations of Ahlada Engineers Limited. Tata Steel’s MD, Mr Narendra and his team is visiting Ahlada’s plant on this Saturday. Business is good and stock can be applied by people who are ready to hold for long term as chance of huge listing gain is less. wait to look if get anchor investors and check subscription on last day. The Company should get good response IMO. They have signed a contract with Tata Steel for 4 years with extension of 11 months. At present they have manufacturing facility of 11 thousand doors which will reach to 30 thousand by January. After the contract is over Tata will give them first right to refuse. They refused Tata’s offer for selling a 51 percent stake this shows their brand power. They have no competitors. TATA PAYS their rent, steel price fluctuations, dollar price fluctuations. This is a very rare contract. hello, so any rise in steel prices will not affect companies margins ? does that mean they get fixed remuneration per door ? and how is this offer on ev/ebidta basis ? We don’t have the agreement copy with us. However, as per sourced information from broker meet, the cost of one door is about 13500 with a profit of 1500 per door. They have received a contract for supplying 11 Lakhs doors in four years that means every they are supplying close to 2.75 lakh door to Tata which is close to 80% of the present capacity after expansion. So we can say that the total revenue from Tata every year may be close to 370 Cr. The margin will remain muted for the next four years due to this contract. However, if these Tata Doors gets a good response in the market then Ahlada will definitely be acquired by TATA in future. Now this is very exclusive contract reason is TATA pays land rent , steel price hikes or down price in steel, currency fluctations. What more a SME can ask for. Also after the contract is over the company has both right to refusal and right to renew for next 11 months . Icing on the cake is Tata had shown willingness to buy 51 percent stake. The scientist who had sold out his company to Shanta Bio is Chairperson. Tata steel looking inside home products as route to market value added steel. 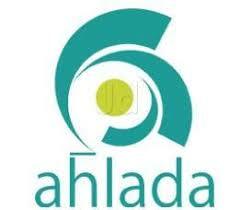 Ahlada s given order of 1.7mn doors over 4 years. By next year it would be 300k p.a. As of March 31, 2018, the company has contingent liabilities and commitments aggregated to ₹ 13.68 Cr which is huge for the company which has 8 Cr of Profit in FY18. in FY18, Tata Steel is the biggest customer for the company comprising of 26% revenue. Key Highlights of the company agreement with TATA Steel for supplying Doors. extended for an additional period of 11 months (Extension Period). 2. The Agreement may be renewed by executing a fresh agreement on mutually acceptable terms for another 4 years (Renewed Period). 3. The Company shall provide the Products as per purchase orders issued from time to time and Tata has committed to order a minimum quantity of 11.75 lac doors during the term of the agreement. This is big order considering at present company has a capacity if manufacturing 1.32 lacs Door per year. Conclusion: Getting an order from TATA for an SME company itself a great achievement. (i) The company manufactures a range of Doors and Windows to cater various segments and industries. (ii) Ahlada is promoted by young and dynamic entrepreneurs with a valuable engineering background having vast experience in a production backed by a marketing and service team. (iii) Ahlada has earned a reputation amongst the best product manufacturers with an equally efficient service-oriented team. (iv) Ahlada manufactures the complete line of Modular Clean Room Partitions, Equipment, Furniture catering to the life sciences, Biotechnology, and semiconductor manufacturing Industries and distinctive Steel Doors and Windows catering to the Residential, commercial construction market and industrial sector requirements. (v) Last year they had tie-up with Tata Steel Limited (TSL) for Master Manufacturing and Supply Agreement (MMSA).